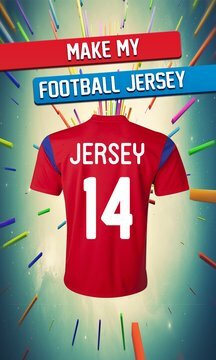 Make your own football jersey and join the spirit of Football. 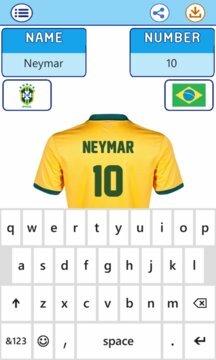 Make a football shirt of your name. Choose from the huge collection of club jerseys of teams from English, French, Spanish, German, Indian, USA and other prestigious national leagues. In addition, find your national team jersey and get one of your own. Pick your jersey number and share on social media! Great football jersey creator for football fans!